One of our most memorable travel moments has been highlighted by a leading Australian publication. Our visit to the World War II ‘massacre village’ of Anogeia, in Crete and meeting with the Greek musician, Loudovikos ton Anogeion, has been retold across Australia by The Senior newspaper. The visit, high in the mountains of Crete, was the culmination of many years of interest in Anogeia. It also could not have occurred without the support of Scoot Airlines, which operates a great service between Australia and Athens, the Greek capital city. The reasons for our interest in Anogeia were well explained by The Senior, which featured an article in its editions that circulate in the Australian States of NSW/ACT; Queensland; Victoria; South Australia; Western Australia; and Tasmania. The Senior has a national monthly readership of more than 1.3 million. 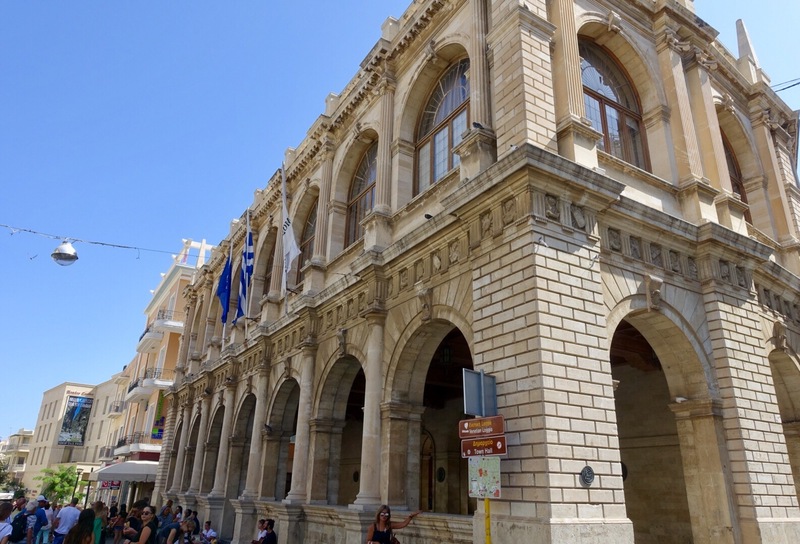 After finding the Scoot Airlines service from Australia to Greece was particularly ‘Age-Friendly’, we decided to also rate Heraklion, capital of Crete. Soon after landing in Athens in a Scoot 787 Dreamliner, we hopped a domestic flight to Heraklion. 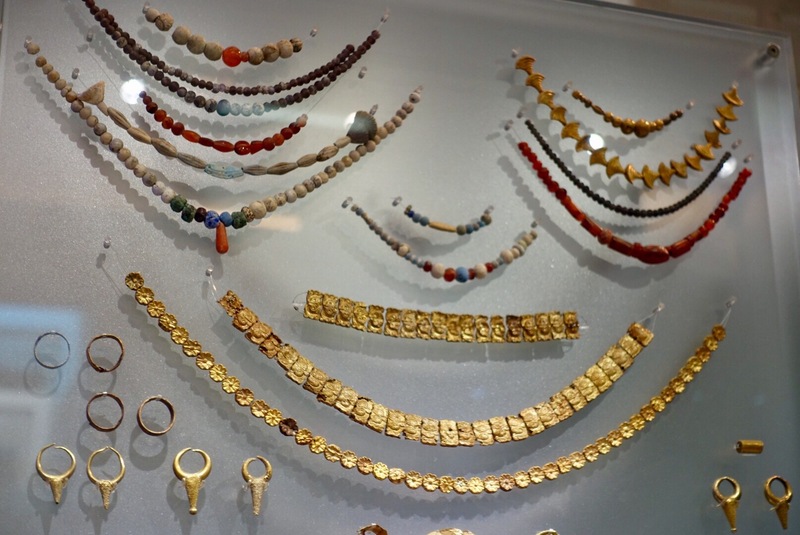 * visiting Heraklion’s huge archaeological museum. 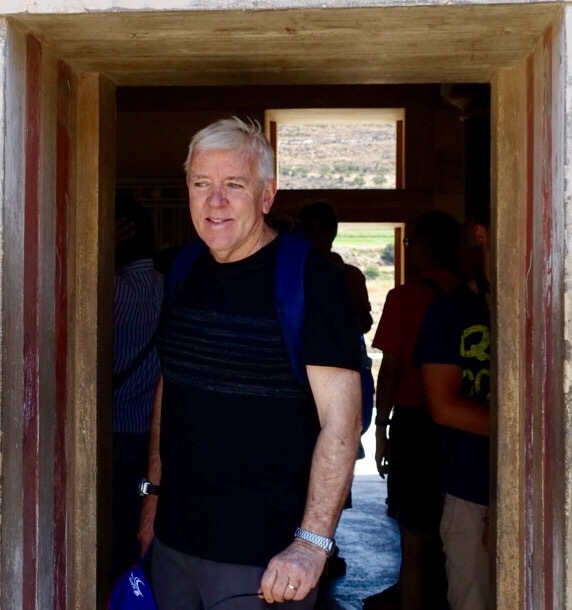 * travelling into Crete’s mountains to the famous massacre village of Anogeia. * seeing the ruins of the Minoan palace of Knossos, about five kilometres from the city. 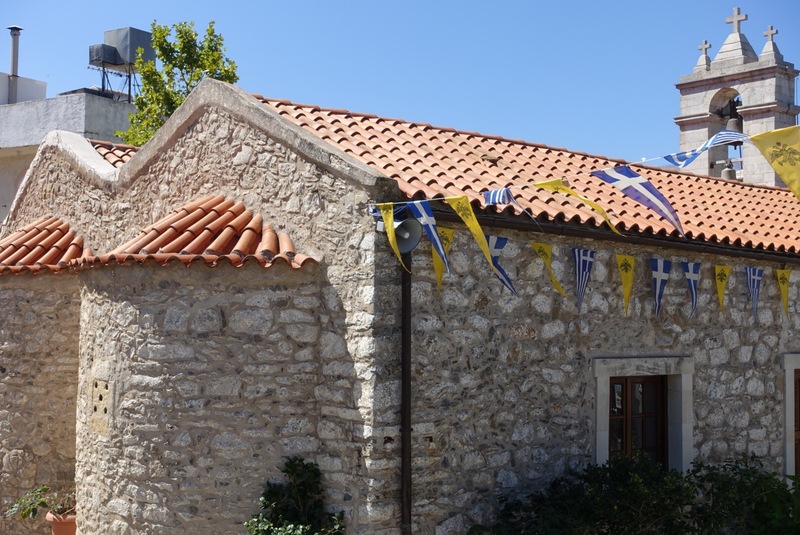 * visiting the Agios Titos Church. We achieved all of this during our brief three-day stay in Crete, but the biggest impression caught us totally by surprise. The people we met in Crete were among the friendliest imaginable. Strangers approached us in taverns, thanked us for visiting their island and insisted on paying for our coffee. If we puzzled over directions in the streets, locals would immediately stop and offer help. And the staff at our hotel – the Atrion – were delightful. Nothing was too much trouble and everything was done with a smile. Bus drivers politely offered advice at our handful of faltering Greek words delivered with an Australian accent. And when we once accidentally overpaid a taxi fare, the driver immediately handed back our money and explained that the fare was actually much cheaper. 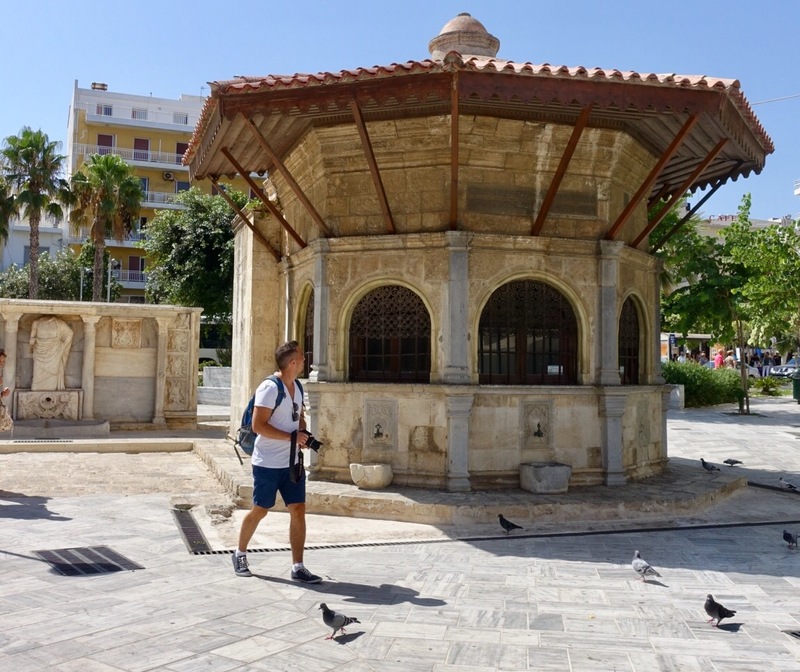 9/10: From our experience, Heraklion is wonderful city that has much to suit all ages. From our brief stay, it seems the island’s greatest asset is the warmth of its people. This has no age barriers – everyone can benefit from experiencing it. 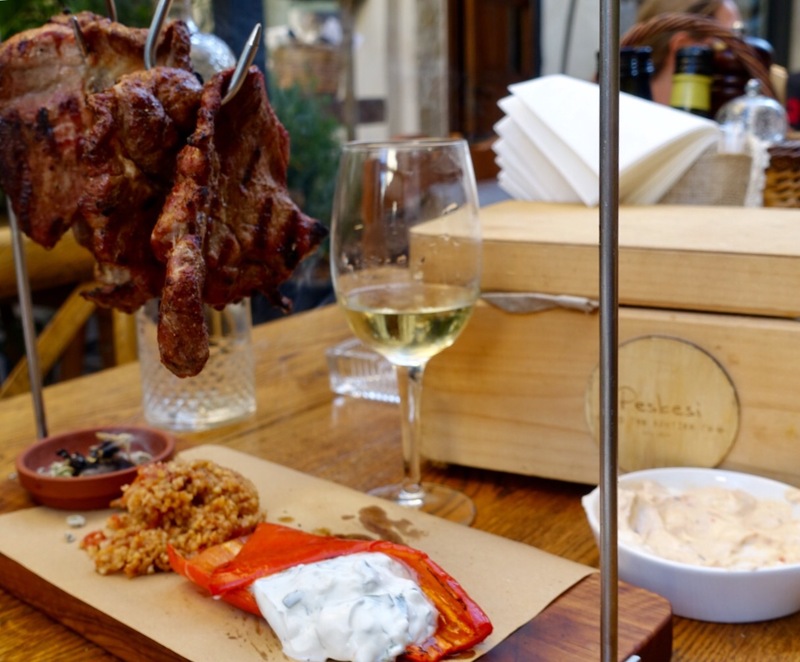 Another surprise: Cretan food is an explosion of taste – similar in some ways to the traditional Greek cuisine, but with its own variations and recipes developed from the island’s distinctive natural environment. The centre of Heraklion is suitable for all ages. It is a vibrant mix of modern restaurants, fashion shops and traditional street stalls. Cobblestone streets meander Italian-style from square to square, between fountains and through architecture that reflect the city’s Turkish past. In the busy 25th of August Street we gazed at beautiful Neoclassical housing banks, travel bureaux and tourist shops. 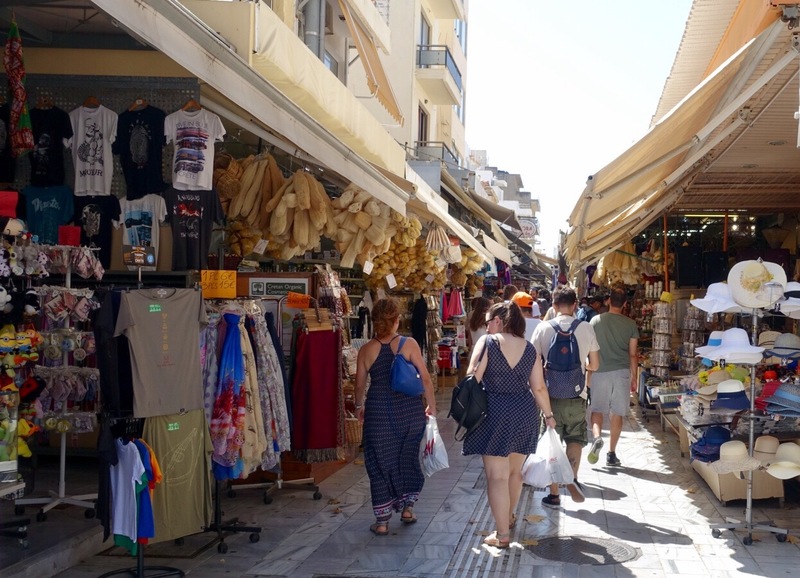 Locals explained that 25th of August Street may have been first cut by the Arabs in the ninth or 10th centuy – and has always been the main thoroughfare of Heraklion, linking the town centre to the harbour. During the city’s Venetian period (13th-17th century) it was called the Ruga Maistra (Main Street), while in Ottoman times it was known as Vezir Tsarsi (Vizier’s Market) after the Vezir Mosque. The modern name of the street is due to a tragic event. On the 25th of August 1898, a mob slaughtered many Christians, including 17 British soldiers and the British Consul. Midway down this impressive pedestrian street, we were stopped in our tracks by the simplistic beauty of the Agios Titos Church. Probably the oldest church in Heraklion, this building was erected in the 10th century, but later became a mosque. Re-built in 1872, it contains the skull of Saint Titus, a disciple of the apostle Paul. 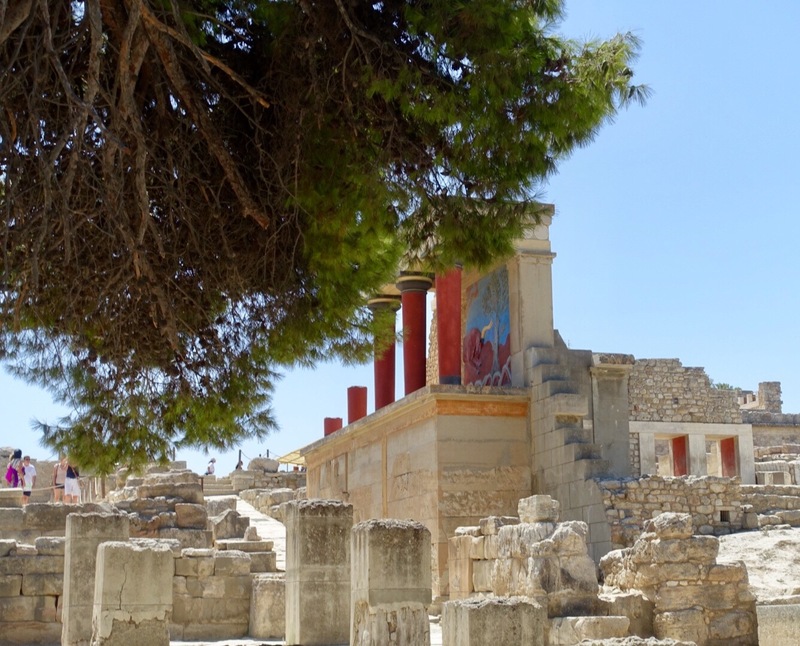 The excavations of the Minoan palace of Knossos are another wonder that appeal to all ages and are easy to reach by bus; fascinating to see; and perfectly complements Heraklion’s huge archaeological museum. If incredibly old civilisations are your thing, then you will certainly get your fix at Heraklion. We found the transport links to and from the airport and ferry port to be excellent – and ideal for of all ages. It’s only a small airport and you need to walk across the tarmac to get on and off an aircraft, but the airport process are laid back and relaxed. 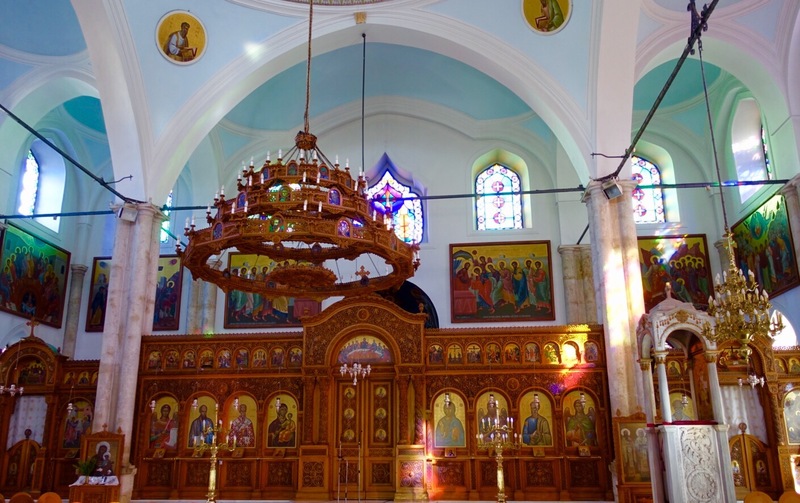 Bottom line: we loved Heraklion, its people, attractions and it’s food. “The blood in these streets made us who we are”. These words might have sounded fanciful in any other place – and coming from anyone else. 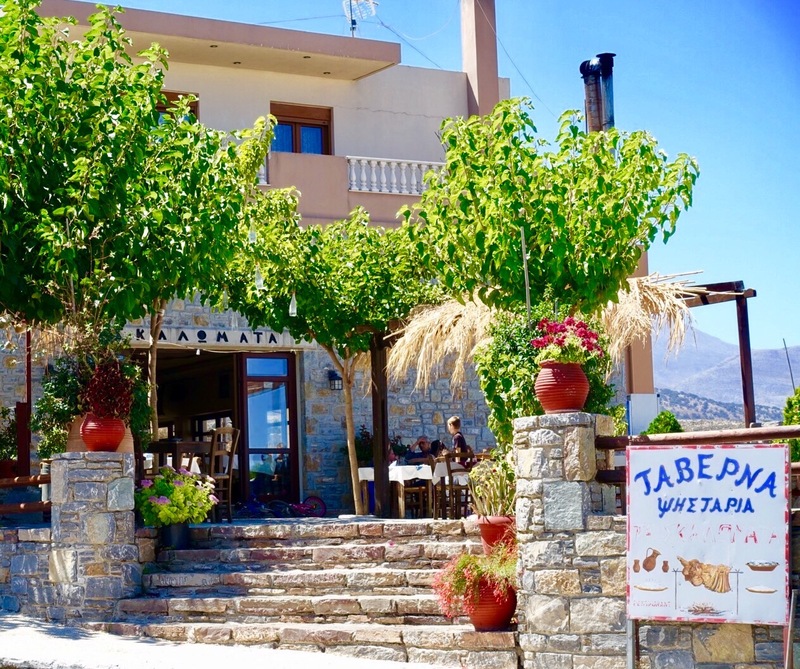 But we were sitting outside the tavern Skalomata in Anogeia, Crete, a village destroyed three times in its turbulent history. And the speaker was the contemporary Cretan singer, songwriter and author, Loudovikos ton Anogeion. Credited with describing Anogeia as “the first place you meet when you descend from heaven,” Loudovikos was explaining how tremendous suffering had shaped the culture of the village. 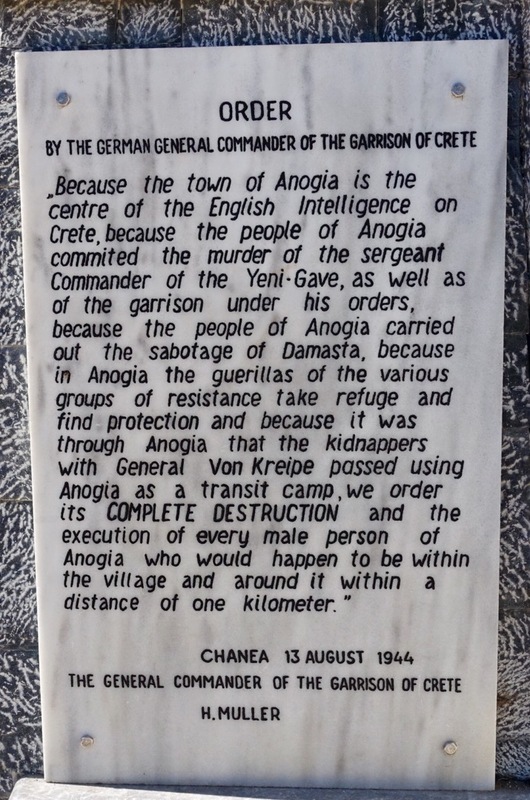 Anogeia was twice destroyed by the Ottomans in 1822 and 1867 – and then by the Germans in 1944, in retaliation for resistance activities. “Pain and sorrow is the heritage of Anogeia, but so is resilience. To underline this point, Loudovikos played his song The Colour of Love, which beautifully explores the theme that you cannot love if you have not suffered adversity. If resilience and fiesty independence are in Anogeia’s DNA, so too are creativity and artistic expression. Loudovikos is only one of a disproportionate number of talented musicians to emerge from the area onto the Greek and world stage. The village is also known for its folk art, including a weaving industry developed largely by the widows of men killed in the World War II massacre. The concept of the ‘Tortured Artist’ has long been debated in society and many books have been written on the subject. However in Anogeia, where stories of pain are still raw, the people have a deep respect for its story tellers. Loudovikos simply picked up his phone, hit a few numbers and I was talking the mayor of the village. He spoke in glowing terms of the singer songwriter’s mission to explain the collective community spirit of Anogeia and how that spirit has been shaped by a past as tragic as anyone could imagine. Anogeia’s mayor also stressed that confronting the horrors that happened in the village was considered a key part of the process. The exact order given to German forces in 1944 is engraved in marble on one side of the memorial. 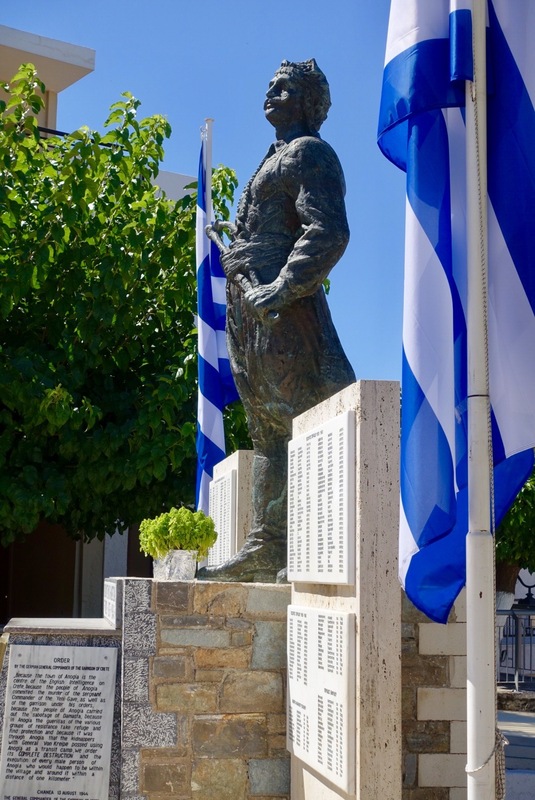 Each August, Anogeia also holds a day of remembrance, featuring community activities centred on the memorial. Residents are also quick to point out that Friedrich-Wilhelm Müller, the German commander who ordered the razing of Anogeia, was captured by the Red Army in 1945 and met a grisly end. 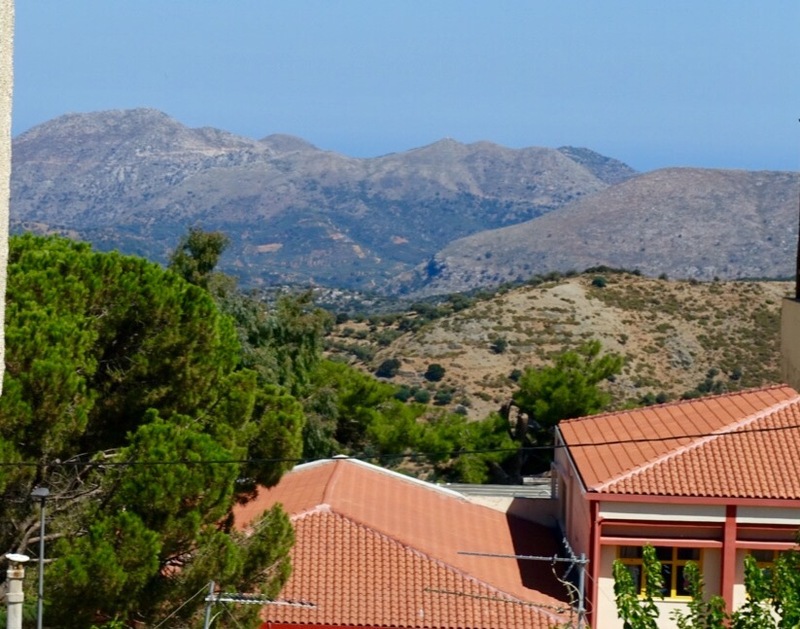 Anogeia sits at an altitude of 738 metres in the Idi mountain range of central Crete, an area dominated by Mount Psiloritis, the highest mountain on the island. It is a charming village, with a cobblestone Main Street and an array of taverns, coffee shops and cafes where friendly locals gather beneath spreading trees and grapevines trailed across trellis. 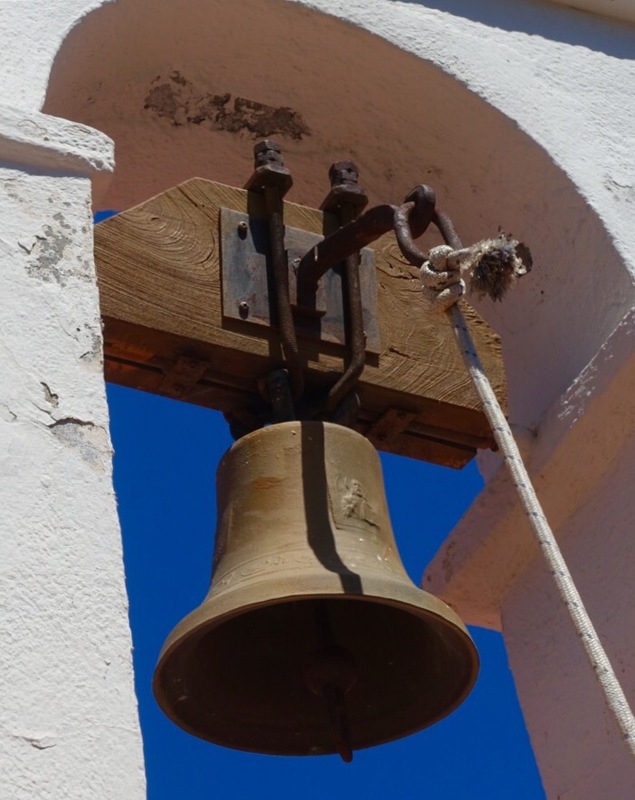 Despite Anogeia’s treatment at the hands of foreigners over the centuries, the residents are welcoming and quick to offer the hospitality for which Crete is known worldwide. 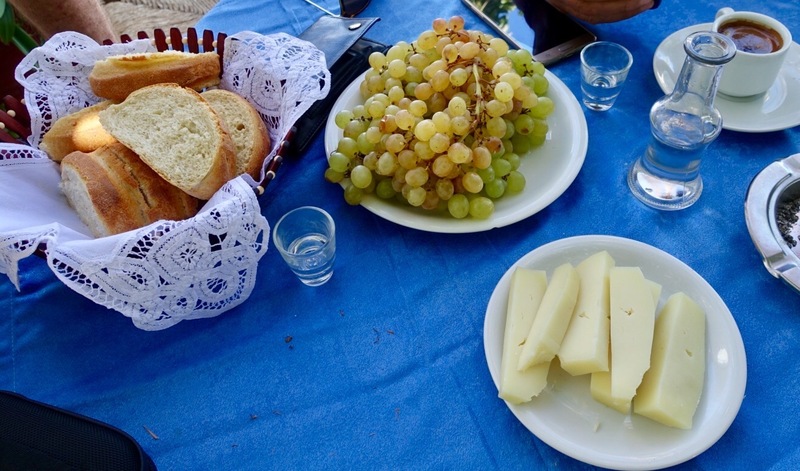 During our talk with Loudovikos, the owners of the tavern Skalomata insisted that we sample the local cheese, Rakki, fruit and bread. Anogeia is connected by public bus services from both Heraklion and Chania Crete’s two biggest cities. We caught the bus into the hills, leaving Heraklion in the early morning and weaving through the awakening suburbs until we reached the narrow, winding road into the rugged mountains. 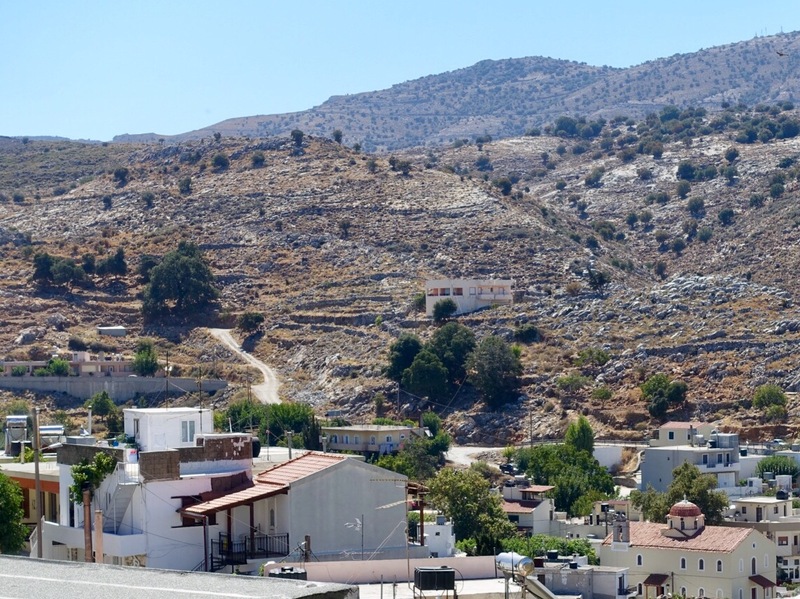 It was easy to see how the terrain helped Crete’s famed resistance fighters to ambush and harrass both the Occupying Turks and Germans. Note: the writer flew to Europe courtesy of Scoot Airways.